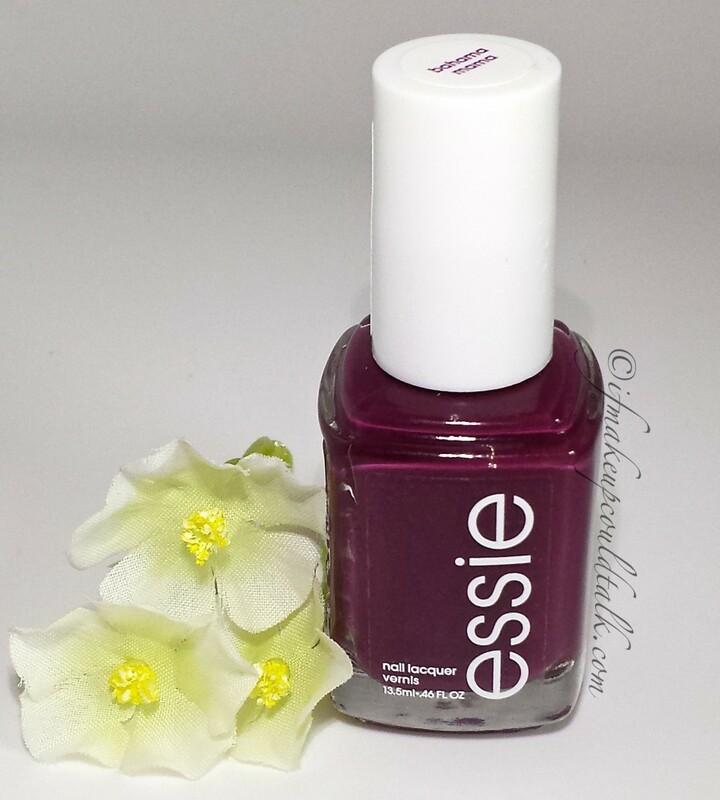 Home Brands and Products Essie Bahama Mama. Essie Bahama Mama is One Smokin’ Mama. Once in a while, I’m truly taken aback when an impulse purchase turns out to work in my favor. Essie Bahama Mama ($8.50 USD/.46 fl.oz.) beautiful deep cream plum shade immediately caught my attention. Given my love-hate relationship with this brand, I had a moment of, “should I or shouldn’t I,” for about 2.5 seconds. However, my hesitation was subdued as soon as I realized what a perfect accompaniment this color would make for all of my dark toned lip colors. Yeah, that’s right I said it, matching lips and nails are back–baby! Essie Bahama Mama with flash. Normally, Essie is not my go-to brand for nail polishes; the inconsistent texture and thin brush always seemed like more work than they were worth. However, Bahama Mama has turned my bias frown upside down. As it turns out, Bahama Mama not only has the catchiest name in town, but the color and formula are truly amazing. The thicker formula clung well to the brush to deliver even and smooth results. This warm plum/red, complimented my olive skin tone perfectly and would easily suit a variety of other complexions, nail lengths and ages. Not to mention, how fabulous would this shade look on your tootsies? Essie Bahama Mama without flash. I was able to wear Bahama Mama for five days without any chipping and slight tip wear. However, by the sixth day, chipping was quite noticeable; perhaps, due to the cold or stress of putting up Christmas decorations. Be that as it may, for an eight dollar nail polish, this beauty lasted just as well as some competitors that sell for three times the amount. As mentioned earlier, the brush on Essie polishes has always been a bit of a hindrance for someone like me, with wide nail beds. However, since this particular formula is a bit thicker than what I have normally experience with Essie polishes, I found the narrow design of the brush rather beneficial for accurate color placement. As you can tell by the photos above, I was able to cleanly polish the sides of the nails with exacting results. 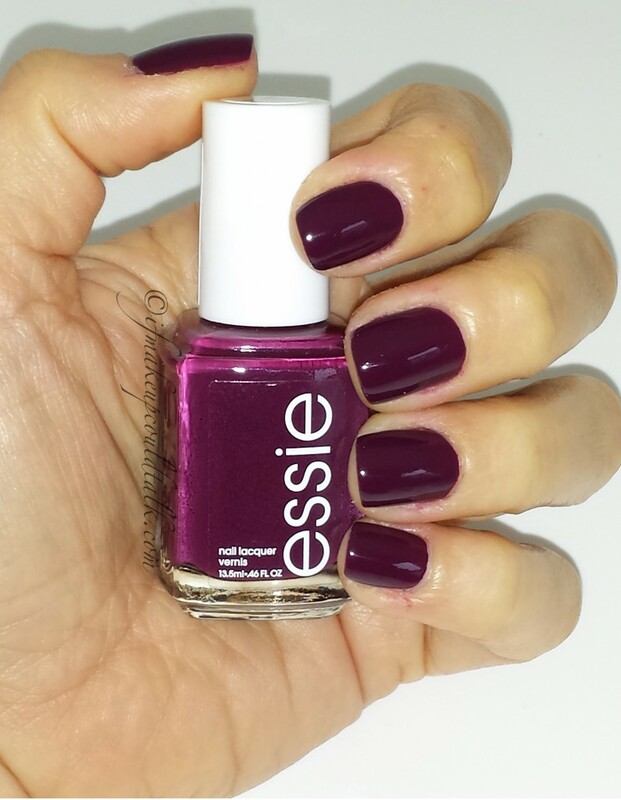 Essie nail polishes are sold at–Macys, Beauty.com, Nordstrom, Target, etc.. Makeup would tell you Bahama Mama is one of the best colors I have ever come across. 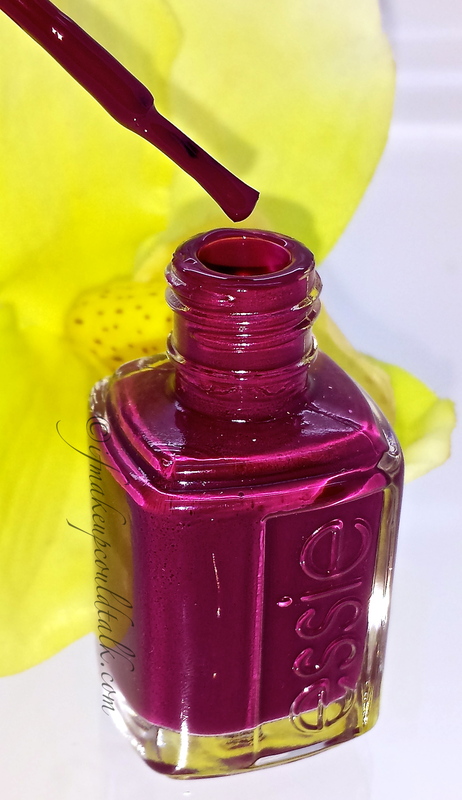 The 3-free formula, the lovely texture, reasonable price, accessibility and amazing color and wear have made me look at Essie in a whole new light. Just get this color and envision how stylish and utterly fabulous your nails will look when ripping the wrapping off those holiday presents 🙂 Be well, stay safe and be happy.